Get out of the reporting quagmire, be explicit about decision making with decision modeling and integrate analytics in BI and operational systems. For most organizations, there are too many reports that don’t serve a clear goal. IT resources are bogged down managing reporting and the link from reports to decision making is not well understood. Consolidate Reporting to Improve Decision Making. Organizations make thousands of operational decisions every day: pricing, approval, offers, regulatory compliance, fraud detection, etc. But most of these decisions are buried in software code and policy manuals, poorly understood and sometimes even contradictory. What does that cost the bottom line? Implementing Analytics? You Need Decision Modeling and Business Rules. To get “there” – better data-driven decisions – from “here” – traditional BI reporting and dashboards, leverage decision modeling and modern BI platforms. Decision modeling streamlines dashboards and provides the “pull” for predictive analytics. Modern BI platforms incorporate basic (and expanding) advanced analytical capabilities that can quickly demonstrate business value. Decision Modeling for Dashboard Projects. An “analytics-driven decision is the finished product*”, so start with decision modeling. Decision modeling defines the business AND deployment context. Framing Analytic Requirements with Decision Modeling. Decision modeling and the DMN notation are straightforward, but the approach involves a significant shift in how organizations think about business architecture, information systems and requirements. Decision Modeling with DMN. 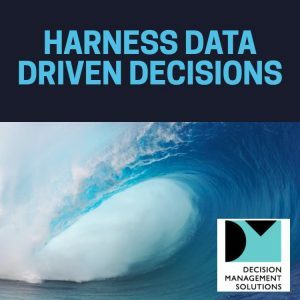 Being explicit about decision making using decision management and decision modeling enables organizations to fully capitalize on data and analytics for data-driven decisions. Contact us to learn more.